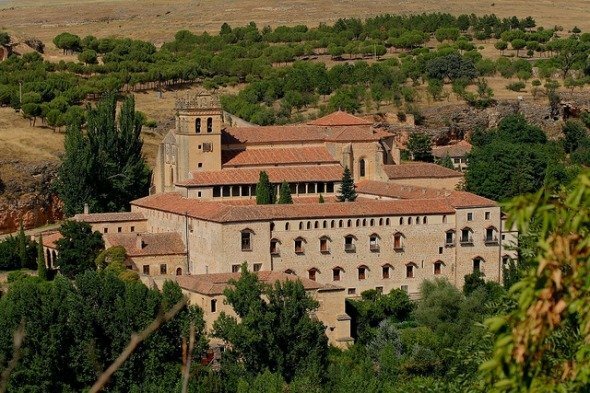 This monastery, whose construction demand was made by Enrique IV in 1447, even though the legend attributes it to Juan de Pacheco, Marquis of Villena, represents several buildings built around various Gothic, Mudéjar and Plateresque cloisters. Abandoned and pillaged in the XIX century, its reconstruction began after it was declared National Monument in 1914. In 1927, it was occupied by the priests of the Order of Saint Jerome. On the unfinished facade of the monastic church, you can see the blazons of the Pacheco family. On the right, there is a tower finished with Plateresque crenulations, work of the segovian Juan Campero. Inside, you can see a nave with a choir at the end, side chapels and a pulpit of the XV century. The principal polychrome wooden altarpiece is the most important work of the church. 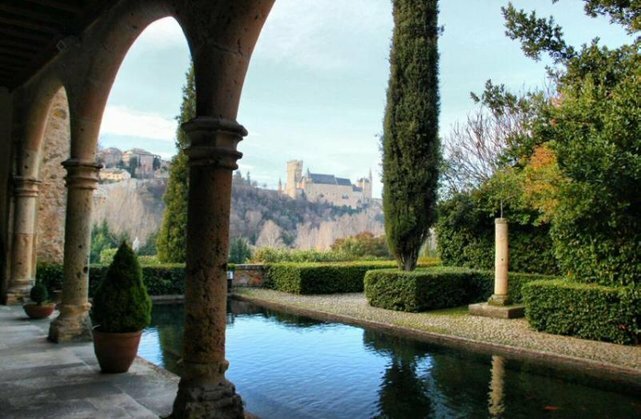 It is considered the jewel of the revival of the province of Segovia. At the end of the street going from the river to the Monastery of Santa Maria del Parral, there is a tombstone with the following inscription: "Traitor, your betrayal will be useless since we will call it quits if one of the people who accompany you keeps his word". Some say that Juan de Pacheco, Marquis of Villena and Enrique IV's favorite, had many enemies due to his ambition and that one of them challenged him for a duel in front of the church of the Virgen del Parral. On the appointed day, the Marquis went to meet his enemy and saw that he was with two men. Abashed, he reacted by telling his rival the sentence that was written on the tombstone. His companions thought it was a betrayal and duelled together while the Marquis fought against his opponent and won. The Marquis, grateful, turned the humble church into a big and rich monastery.